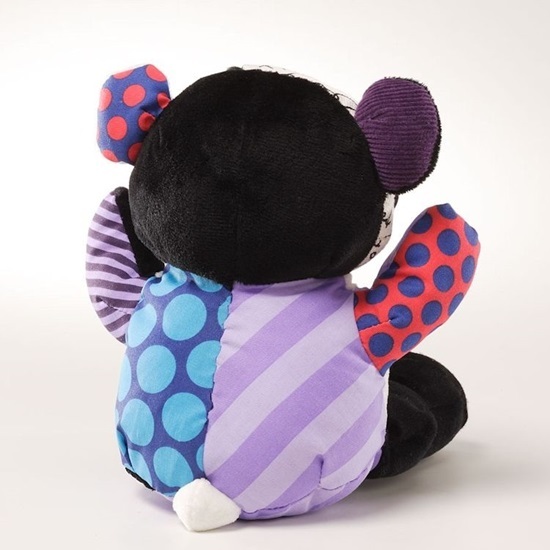 A colorful canvas and plush mini panda from nationally acclaimed artist Romero Britto.. Vibrant colors and gorgeous creations come to life in this panda from Enesco. 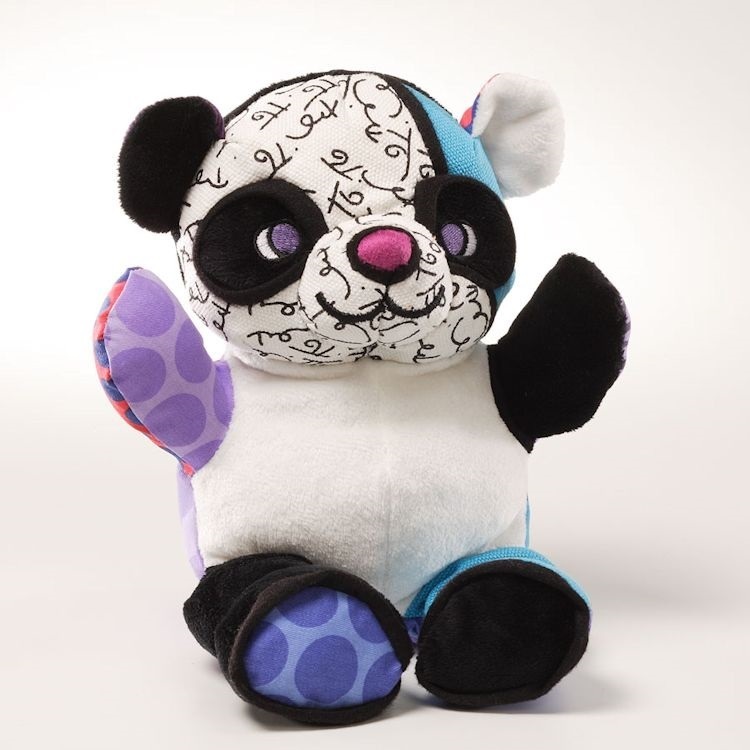 Meet "Jackson", an 8-inch panda bear from internationally acclaimed artist Romero Britto. Jackson the Panda reminds us to follow our dreams, life is too short, moving as fast as the streams. This colorful panda bear is made up of plush and canvas. His paws and his bottom are weighted with beans, so he can sit unassisted. He was first introduced in January of 2011. "Jackson" is surface washable and good for all ages. World renowned for his bold patterns, optimistic designs and colorful palettes, Romero Britto's iconographic pop art comes to life in huggable Pop Plush!